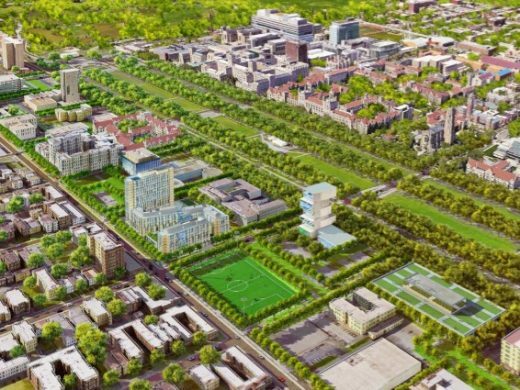 Jeanne Gang said the project presents an opportunity to advance the University’s goals toward a cohesive, sustainable campus populated by great architecture and strong ties to the Hyde Park community. The residence hall will include eight houses of approximately 100 students each, with first‐ through fourth-­year students living together. 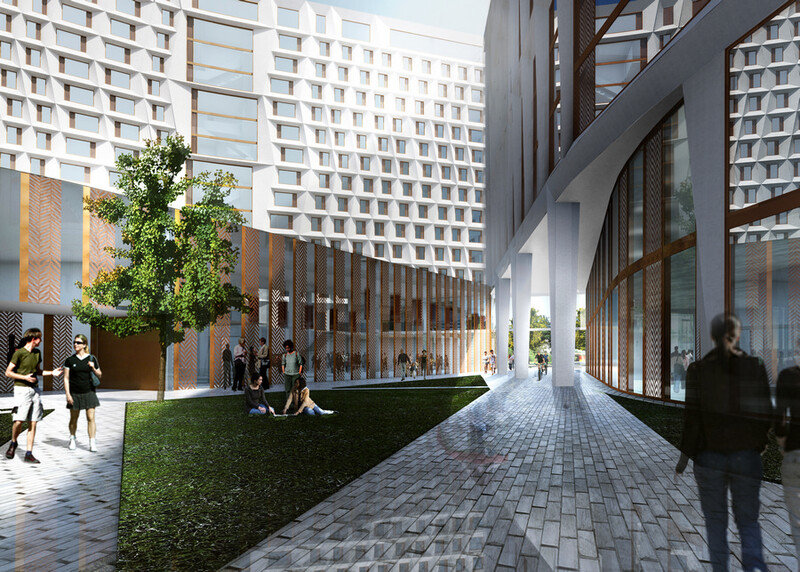 Each house will be structured around a three-story lounge, where students can meet, study, and relax. The design includes special accommodations for third-­ and fourth-­ year students seeking a more independent living experience, including private rooms and kitchen facilities; at the same time, it will allow them to take part in the development of strong communities and friendships with fellow students and staff. In keeping with House System tradition, faculty members and advanced graduate students will live with the undergraduates as resident staff. 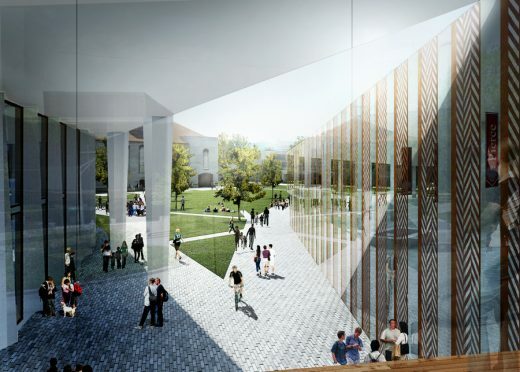 They will cultivate the communities within each house by organizing trips around the city and extending classroom learning through lectures, programs, and events. 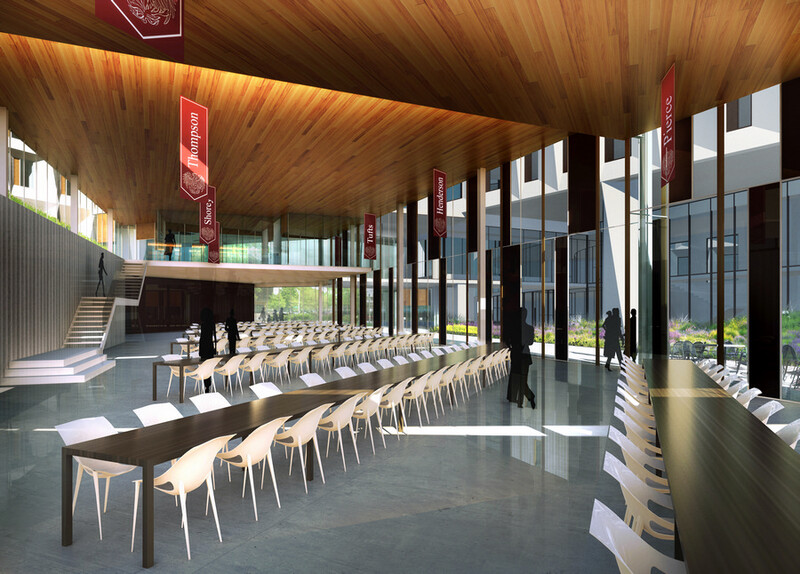 Tables in the dining commons are likewise organized by house, allowing the members of each community to eat their meals with friends while looking out over green courtyards. Other unique spaces, such as the top-­floor reading room, respond to student needs while offering gathering spaces with panoramic views of the Chicago skyline, Lake Michigan, and surrounding neighborhoods. 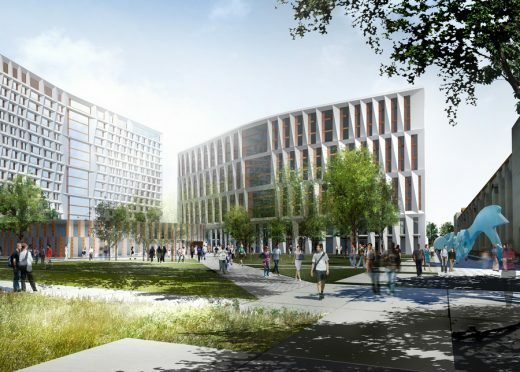 The project also will feature a small number of retail spaces, offices, multiuse rooms, and classrooms. 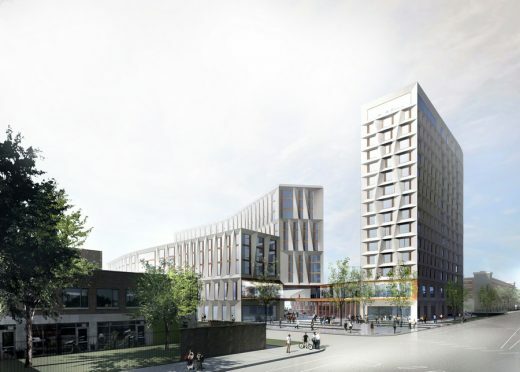 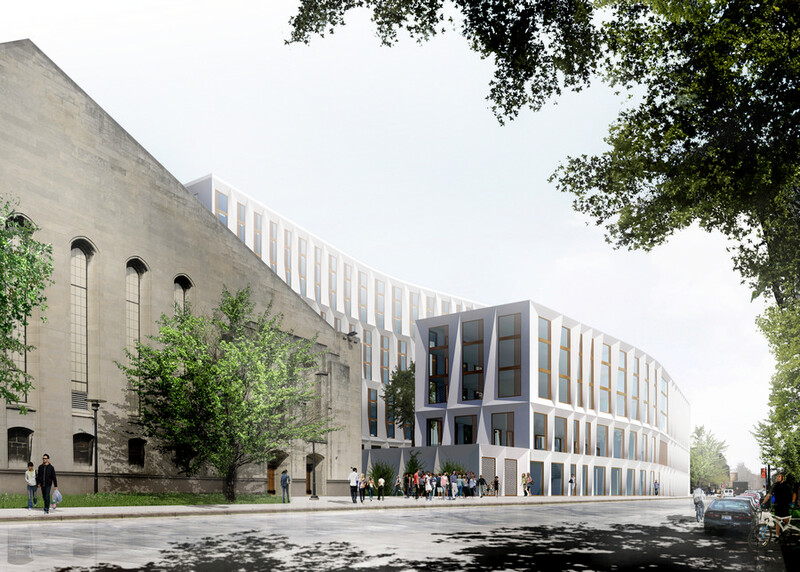 “The design of the new residence hall reflects how students want to live when they come to UChicago – to have their school, work, home, and recreational lives knitted together for a full College experience,” Coleman said.